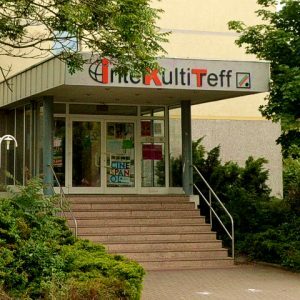 InterKultiTreff is an encounter centre for intercultural contacts between foreign and German students, and also among foreign students of the universities in Magdeburg. The IKT is based on the UniCampus on the ground floor of the student hall No. 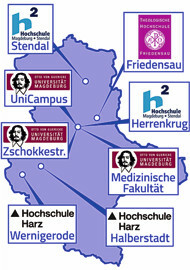 9 located in the Walther-Rathenau-Straße 19 (entrance opposite the library). The premises of the student initiative “IKUS – Intercultural Students” are available owing to the Studentenwerk, the organization supporting the facility. The management of the InterKultiTreff is the exclusive responsibility of the students who want to foster the integration of foreign students into the university and their communication with German students with a wide variety of event offerings. IKUS is an intercultural student organisation that in direct cooperation with the OvGU International Office brings together international and German students. IKUS organises different parties, intercultural national evenings, film evenings, excursions and much more – and helps newly arrived students with their first steps in Germany. This includes administrative procedures, advice and help with questions and problems related to the study in Magdeburg and, of course, the orientation week for the newcomers. Mondays: 3:00 – 5:00 p.m. and Thursdays: 4:30 – 6:30 p.m.